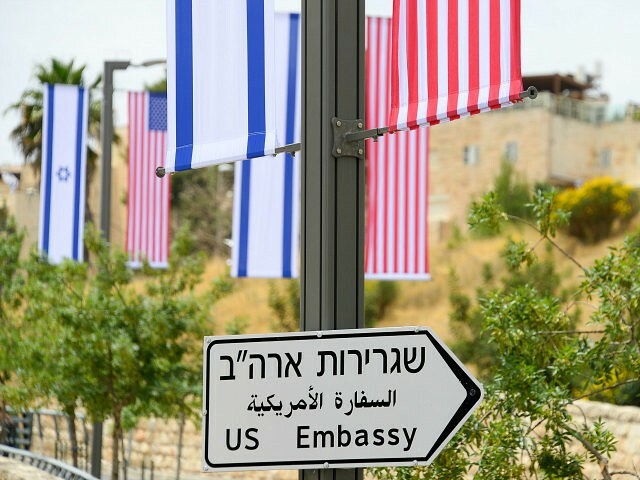 Pastors and Christian leaders from across the country told Breitbart News about the significance of President Donald Trump’s announcement in December to move the embassy, which opens officially on Monday, the 70th anniversary of the establishment of the state of Israel. “Today, we finally acknowledge the obvious: that Jerusalem is Israel’s capital,” Trump said later about his decision. “Israel is a nation unlike any other because it was created by God, not by man,” Jason Yates, CEO of My Faith Votes, told Breitbart News. “As Christians, we believe the Lord gave the land of Israel to Abraham and his offspring in an everlasting covenant, and this includes Jerusalem,” Yates said, citing Psalms 89:28-37 in the Old Testament. “It’s critical that America recognize what God has already established — the land of Jerusalem belongs to Israel,” Yates said. “As a Christian, I am called to stand with the Jewish people, so I will always remain an unapologetic supporter of the free and democratic State of Israel,” Jentezen Franklin, senior pastor of Free Chapel Worship Center and its satellite campuses in Gainesville, Georgia, told Breitbart News. “This is a historic event on a global scale but most especially for American Christians,” Penny Nance, CEO and president of Concerned Women for America, told Breitbart News. “Israel represents many ideals in the Middle East that Christians hold dear and moving the U.S. Embassy to Jerusalem is much more than a political move, it is about giving Israel the respect it deserves as a nation that is dedicated to democratic ideals,” Nance said. Reporting from Jerusalem, Breitbart News Editor-at-Large Joel B. Pollak spoke with the Rev. John Hagee, founder and national director of Christians United for Israel (CUFI). Yates told Breitbart News that Monday’s dedication of the new U.S. Embassy sends a message around the world. “This move clearly communicates to the people of Israel that we stand in their defense. Jerusalem has been the capital of Israel, and finally, the United States will stand with Israel in agreement,” Yates said. “A powerful message will be sent to the world, and especially to the enemies of peace in the Middle East, that the United State’s relationship with Israel is strong.